On Your Mark Coaching and Training is dedicated to helping clients perform at their best. Our goal is to provide the highest level training experience in Chicago. With our STRENGTH, ENDURANCE, PERFORMANCE, and HIIT pillars, On Your Mark offers multiple training options that are both motivating and challenging. Our color-coded class schedule allows clients to effectively build their day, week, and month with a balanced mix of work and recovery. This variety promotes training in a safe, structured environment; with an emphasis on total body conditioning. OYM trainers and instructors are held to the highest standard of professionalism, and we encourage and develop our team to be industry leaders. We make programming adjustments to accommodate all levels of clientele, with each selected exercise paired with a progression or a regression. Whether the client wants to begin their fitness journey, lose 20 pounds, add lean muscle, or run the Chicago Marathon, we have the expertise to help make it happen. As a facility, On Your Mark houses top-line equipment from industry-leading brands. Inside our walls house Nike SPARQ, Rogue Fitness, TRX, GTS, Assault Fitness Air Runner Treadmills, WaterRowers, Cascade Cycle Bikes, HyperIce Foam Rollers, and Recovery Pump Recovery Boots. All our toys are ready for play. 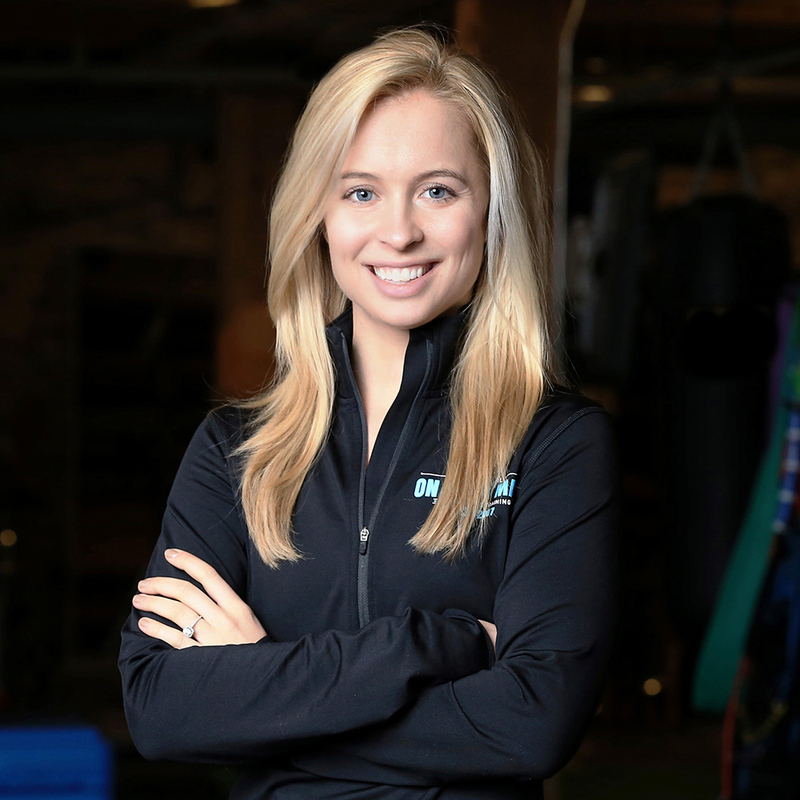 Emily is the Owner of On Your Mark Coaching and Training. She is also a Nike Master Trainer and a Nike Running Club Coach. 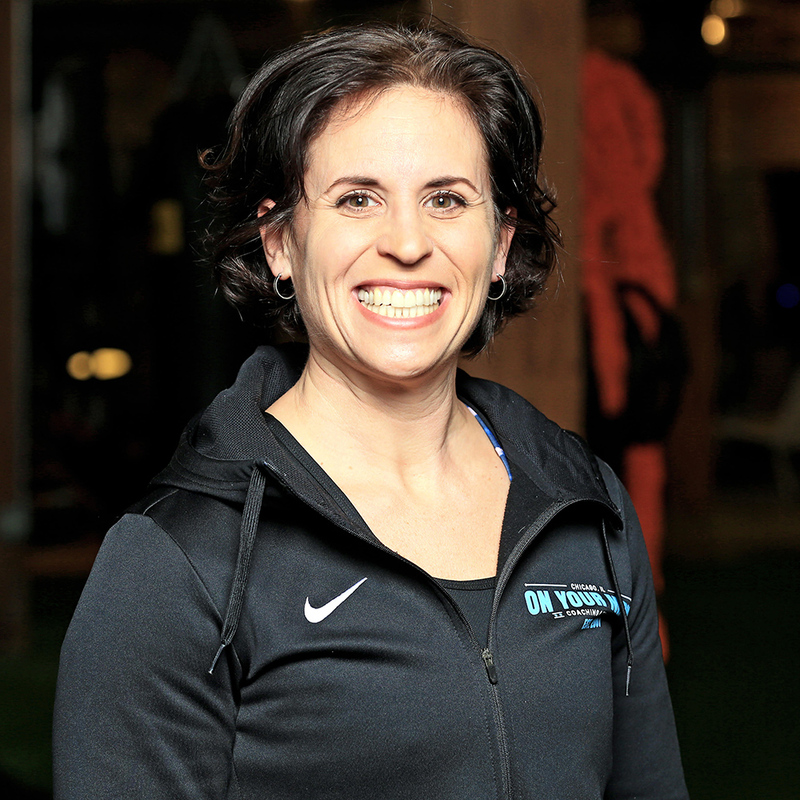 As a business owner and fitness professional, she has committed to creating a high-level training experience at OYM. 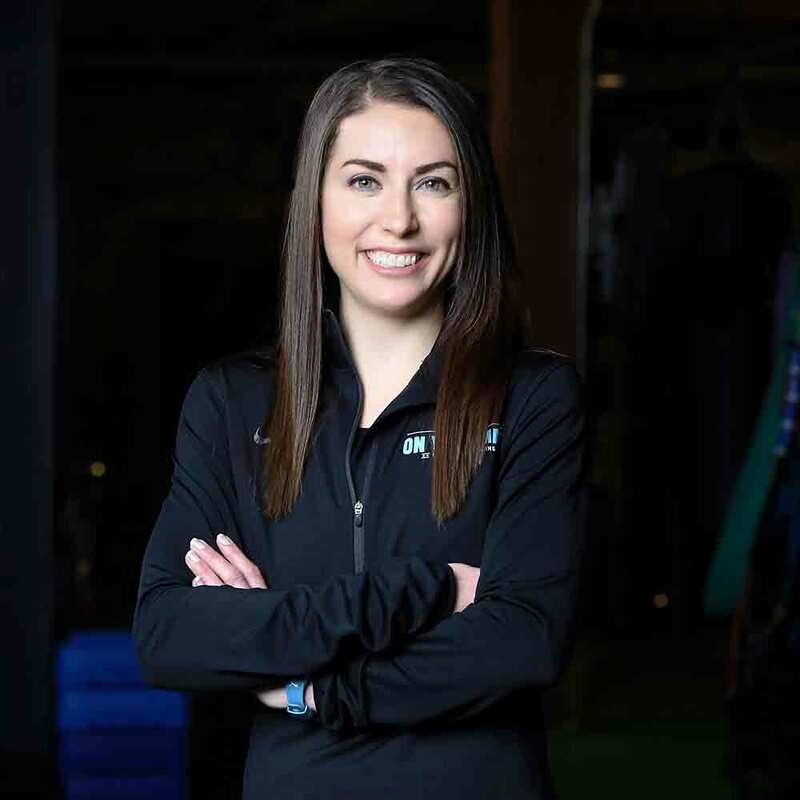 Emily’s background as an endurance athlete and coach have made her highly influential and respected throughout the industry. Her educational belief in “function” has driven the expectations for both small group training and personal training. Emily’s commitment to evolving has allowed OYM to thrive since ’07. 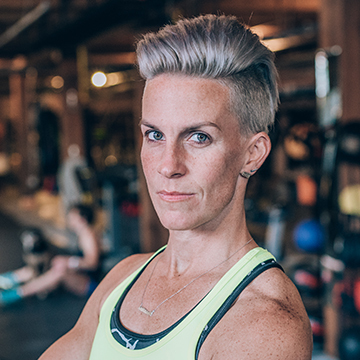 As a Performance Enhancement Specialist, Nike Master Trainer and Nike Run Club Coach, she has had a global presence. 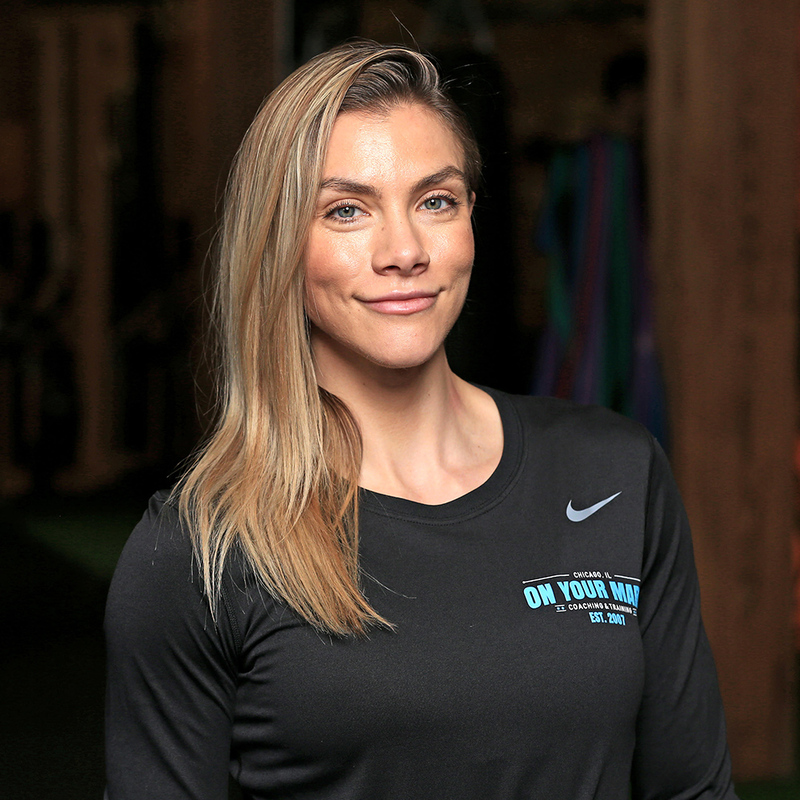 Emily has lead group workouts, programmed for the Nike Training Club app, and made appearances as a Nike brand ambassador. On behalf of Nike, she has worked in Moscow, Toronto, Vancouver, New York, and Los Angeles Portland, and Hawaii, as well as locally in Chicago. When not at OYM, you can find the TimeOut Chicago ’13 Hottest Trainer award-winner eating pizza at Flo and Santos with her dog, Jack. 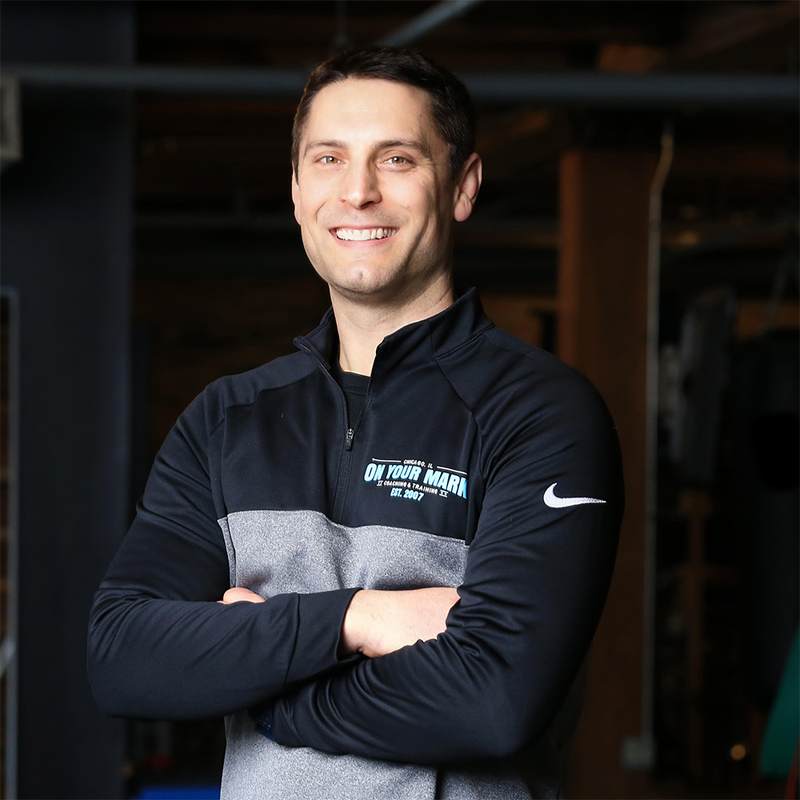 Director of Performance: NASM-CPT, CES, PESBrian is the owner of BKSTRENGTH, a Nike Trainer, and a blogger for NASM. 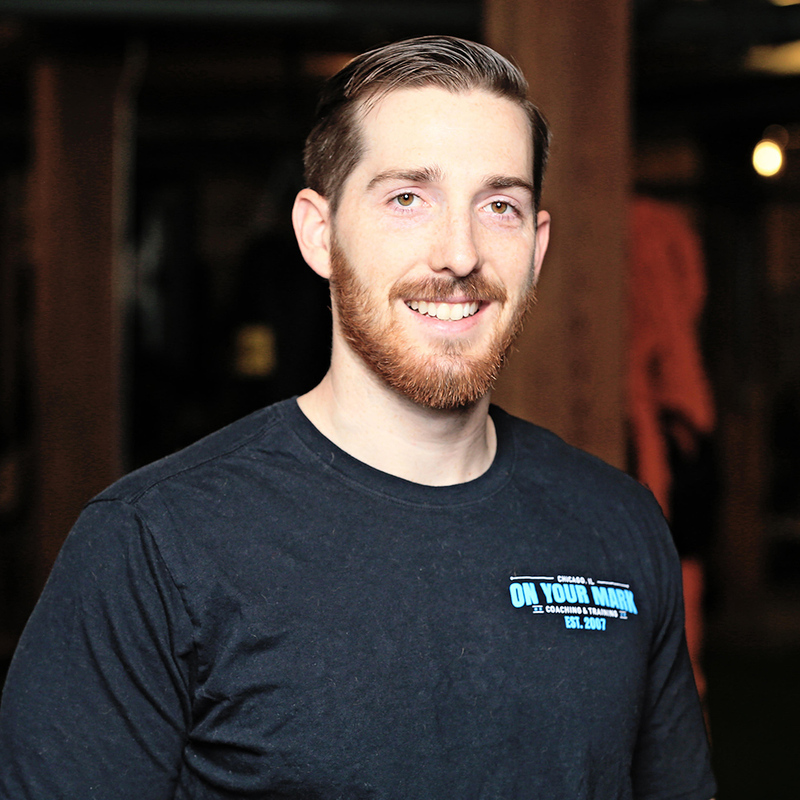 Prior to becoming a trainer, Brian was a two-sport Division I college athlete and professional baseball player. Also a martial artist, he is a black belt in tae kwon do, a brown belt in judo, and a purple belt in Brazilian jiu-jitsu. Brian will eat anything from Portillo’s. 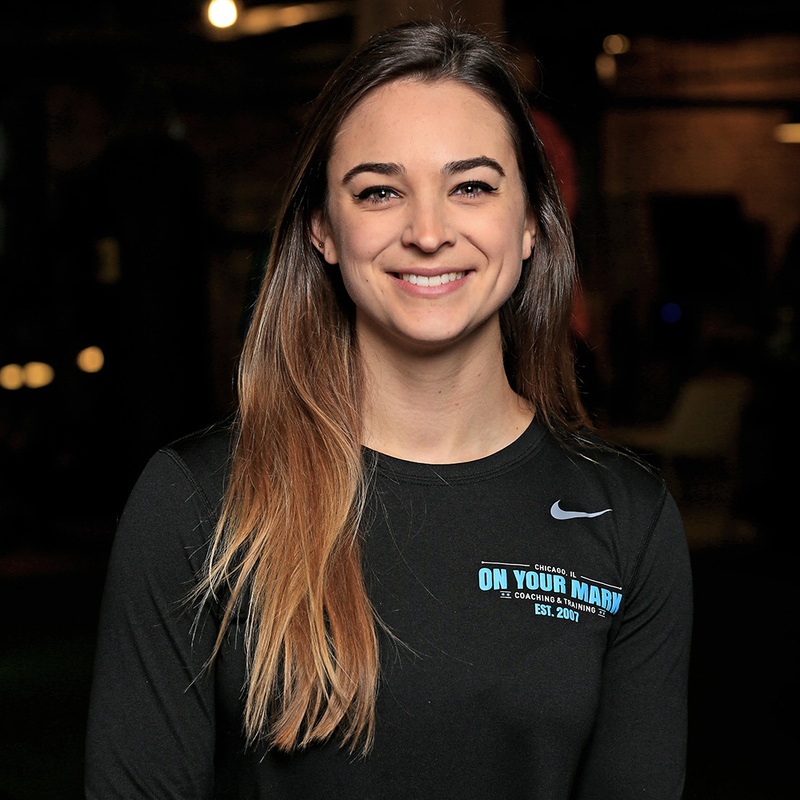 Jess is a Nike Trainer, powerlifting specialist, and kettle bell instructor. Powerlifting is her true passion. Before becoming a competitive, champion powerlifter, she worked as an EMT in San Francisco. When not in the gym, she is playing with her pit bull, Riot. New to Chicago, Jess loves tacos and a skinny margarita from Tuco and Blondie. Annette is a cycling enthusiast with years of training and cycling experience and brings it every time she’s on the bike at OYM. Her background in performance on the bike brings a whole different level to the indoor cycling experience. When she’s not on the bike you can find Annette creating artwork with her company, Links by Annette. 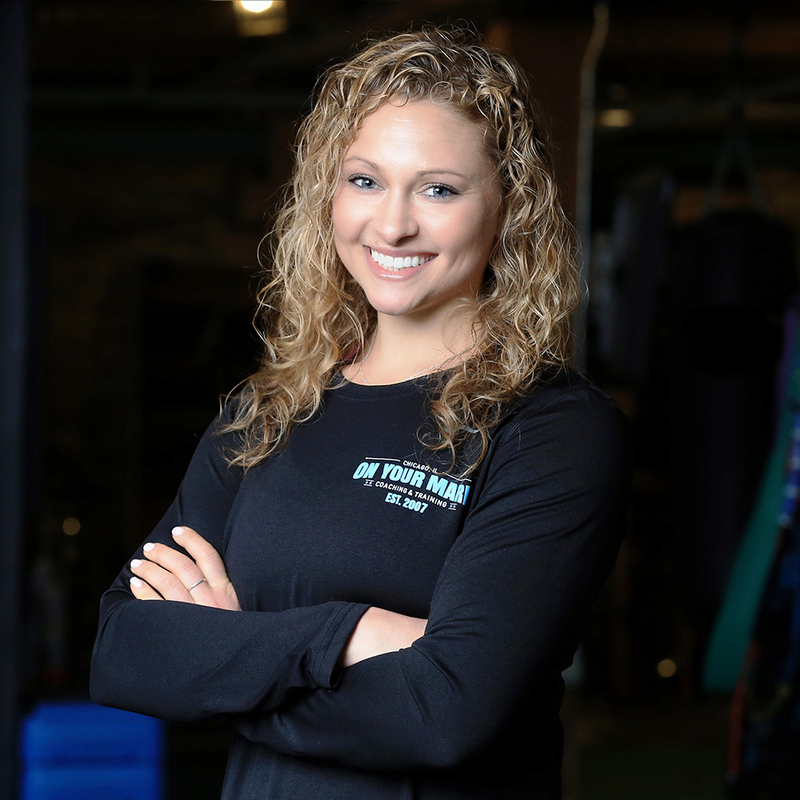 Christa is a strength specialist with a wide variety of clientele. 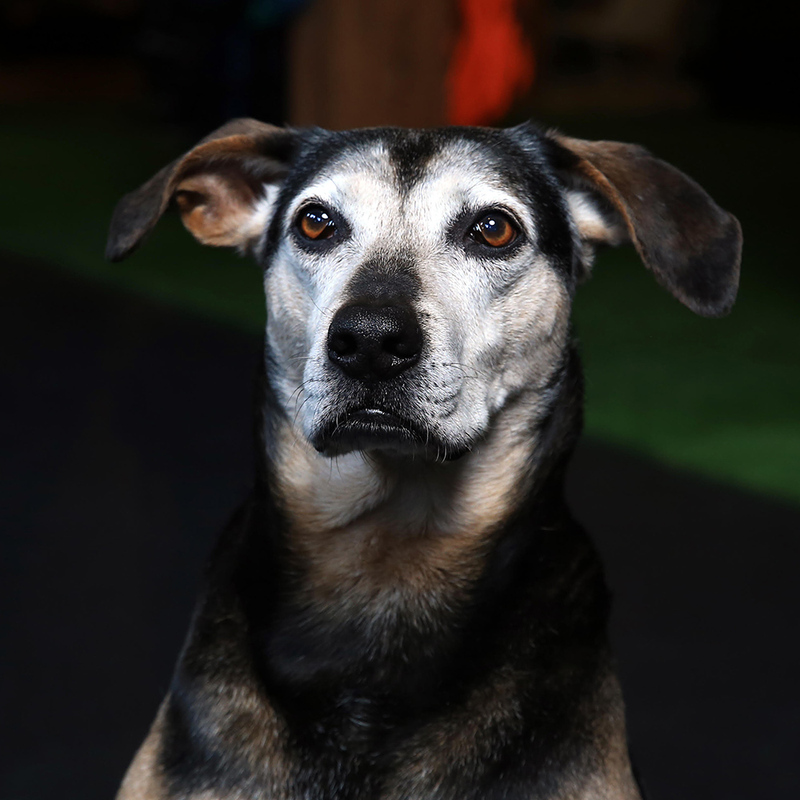 A former vetinerary medicine expert, she began her fitness career in '15. She loves pumping iron, working from coffee shops, red wine, and cooking paleo-ish meals. Christa will lose her mind over Shake Shack. ACE-CPT, FNS; FMSDavid is the owner of 24Life, a Nike Trainer, a Jordan Trainer, and a basketball coach. A former Division I college athlete and professional basketball player, he is also a model for the SLU Agency and an author. David can eat his bodyweight in pounds of Golden Nugget buttermilk pancakes. NASM CPT, ACE Group Fitness; Schwinn Cycling CertifiedTiffany is an eager fitness enthusiast. She enjoys packing her days by teaching fitness classes and getting her own training in. Her specialty is creating challenging workouts set to great music. Outside the gym, she enjoys making a mess in the kitchen, spending time with friends & family, & staying out late (8 pm). She can't live without Stan's Donuts and red wine. Not together. But also maybe together. Tori is the owner of Training With Tori. 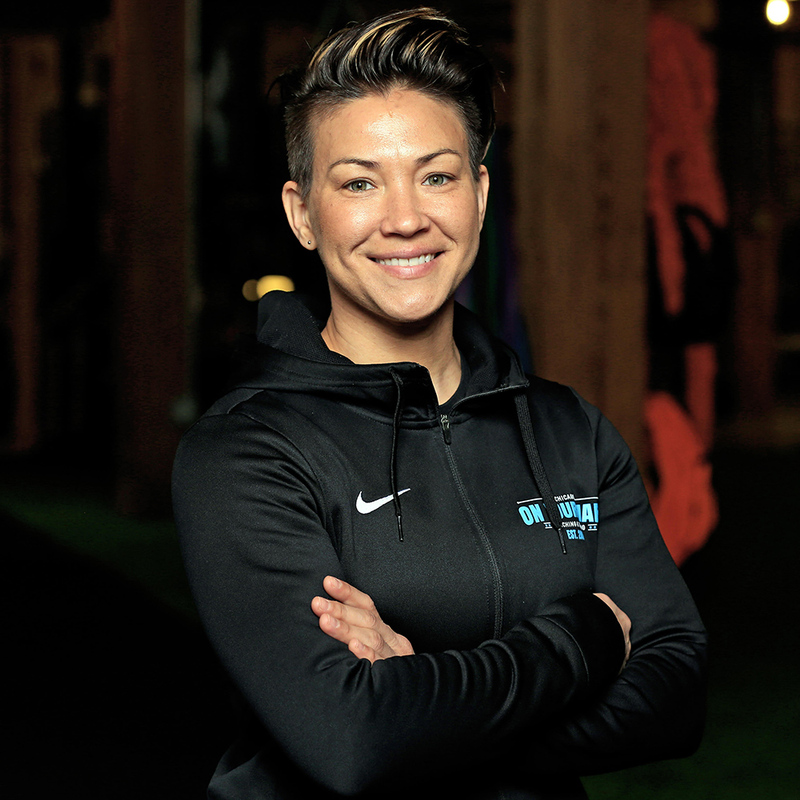 A former Division I athlete, Tori specializes in athletic conditioning for female athletes. 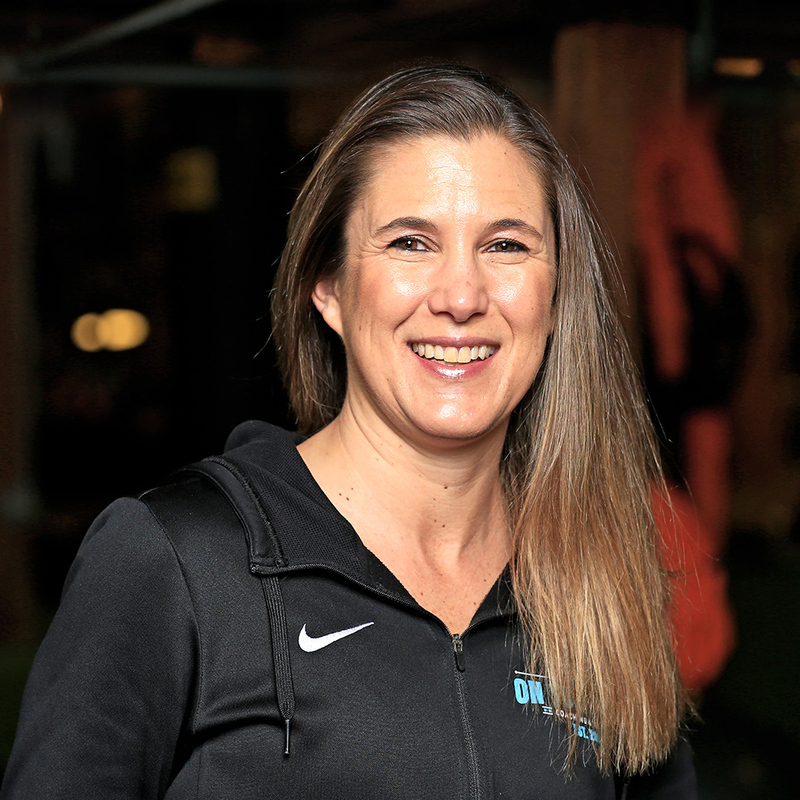 In addition to training clients, coaching field hockey, and teaching group classes, she has completed numerous endurance races. When prompted, Tori will eat an entire Sara Lee Cinnamon Pecan coffee cake. Christina is a nutrition expert and has been with OYM since '12. She fell in love with food at a young age and now teaches elementary school. Christina played soccer most of her life and now loves boxing, running, and cycling. She is obsessed with vegetables, especially cauliflower. When Christina is feeling crazy, she'll crush a large plate of pasta from Volare. Kenna Sullivan is a professional jazz dancer for Inaside Chicago Dance, a Nike Trainer, and a yoga instructor. As a dancer, she has performed all over the world and is always training for the next performance. Kenna crushes mint chocolate chip ice cream every Sunday. Cody’s speciality is in Powerlifiting/strength training. Cody has worked with a wide variety of clients ranging from 10 to 60 years old. Playing sports his entire life is what attracted him to becoming a personal trainer. The most exciting part about being a trainer is seeing the changes that happen not only in the gym, but in everyday life. When Cody isn’t working out he enjoys chocolate milkshakes and competing in long drive golf competitions. 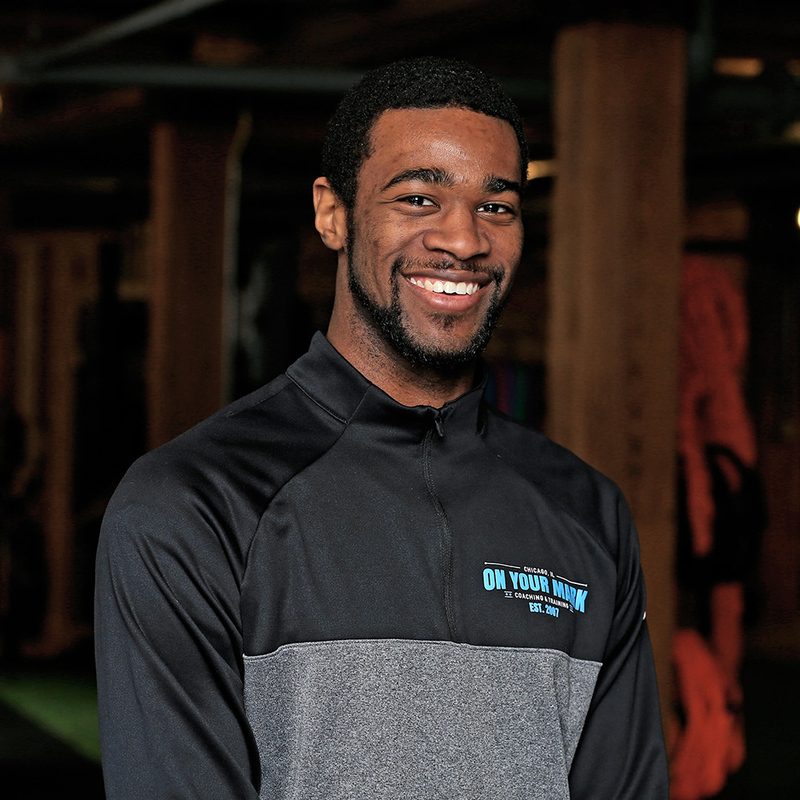 Marcus is not only a high level trainer but also a professional dancer and former Track and Field star athlete. 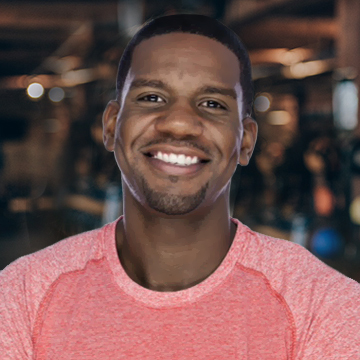 Marcus’s background brings a super high level experience to every training session and class he teaches. When he’s not cutting a rug on the dance floor you can find him racing his wife along Chicago’s lakefront. Sign up for our newsletter today to stay up to date on all things OYM!